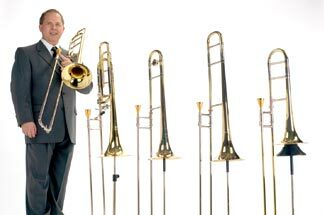 Also known as the Bach 36b or Bach 36bo trombone, the Bach model 36 is a medium-large bore trombone with a .525 bore and an 8 inch bell. For me, it plays more like a big small bore horn than a little large bore horn. When I first started playing trombone, I used a 36 as an all-purpose horn with a smaller mouthpiece for a small bore feel and a larger one for a large bore feel. After playing small and large bore trombones now for many years, I have a hard time thinking of the 36 in that way. It really is in its own category, so much so that hardly any other brands even make a .525 bore trombone anymore. I now have a 36 with an open wrap trigger, gold brass bell, and LT slide. It has a soloistic quality that I like, with more of a beefy small bore feel as I mentioned earlier. When anything bigger is required I just play a 42. If you always preferred small bore horns and just find large bore horns to be too big, you should try a Bach 36. 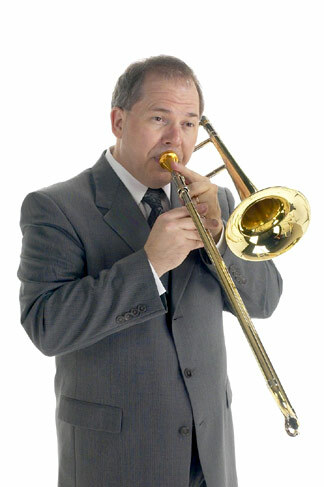 It is a great trombone to play. 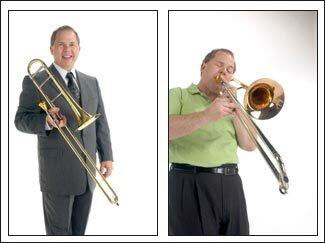 The Bach model 39 is an Eb alto trombone built on the Eb harmonic series instead of the Bb harmonic series, so it is a higher pitched instrument than the other trombones. It is used primarily for solo literature and certain high symphonic works, many of which are written for Eb alto trombone. Since the slide is so much shorter, the positions after 1st don’t line up the same as on the other trombones. I adjust my slide grip to make it easier to make the slide movements smaller to match the shorter positions. This allows me to build new muscle memory for the alto slide positions so they won’t conflict with the regular slide position reflexes that I have already established on the other Bb based trombones. I bought my Bach 39 several years ago thinking it would be fun to learn to play, but have not ended up having much time to devote to it. It is a good alto, although I wish now that I had an LT slide for it. Perhaps I’ll come across one on the internet in good shape. The Conn and Yamaha are also very popular altos that you should try if you are interested in one. I like the Bach sound of the model 39. This instrument review was with a Monette TS 11 G mouthpiece. "Stradivarius" - .525" bore, 8" one piece gold brass hand hammered bell, lightweight nickel silver outer handslide tubes, chrome plated nickel silver inner handslide tubes, open wrap "F" section with traditional rotor, clear lacquer finish. Comes with genuine Vincent Bach small shank mouthpiece and zippered Cordura covered wood shell case. "Stradivarius" - Key of Eb, .468" bore, 6-1/2" one piece yellow brass hand-hammered bell, yellow brass outer handslide tubes, chrome plated nickel-silver inner handslide tubes, clear lacquer finish, genuince Vincent Bach small shank mouthpiece, wood shell case.